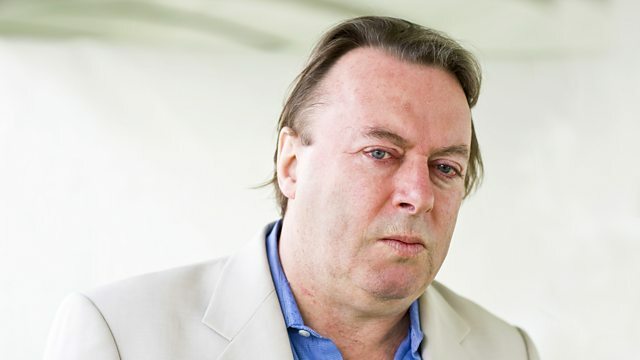 The life and times of Christopher Hitchens told through archive and interview. Presented by DD Guttenplan and featuring Martin Amis, Stephen Fry, Ian McEwan and Tony Blair. The life and times of Christopher Hitchens told through archive and interview. Presented by D D Guttenplan and featuring Martin Amis, Stephen Fry, Ian McEwan and Tony Blair. By the time of his death in December 2011, at the age of 62, Christopher Hitchens had become possibly the most famous journalist in the world. He started his career as a Trotskyist pamphleteer, writing on workers’ self-management in Algeria for the journal International Socialist. He ended as the most eloquent propagandist for the Iraq war. Yet, far from damaging his reputation, this swerve to the right only added to his notoriety. Hitchens became a fixture on both British and American television, a feared debater, and the author of the atheist credo God is Not Great. He remains one of the most distinctive and influential voices of our era. D D Guttenplan, Editor at Large for The Nation magazine, speaks to some of Christopher Hitchens’ friends and family in an effort to unwrap the enigma behind this most public of public men. Marking what would have been Hitchens’ 70th birthday, Guttenplan looks behind the myth of "the Hitch" - a man who drank whiskey like water, smoked cigarettes as if his life depended on it, and wrote - so it was said - faster than most could read. Guttenplan examines how Hitchens stumbled out of Oxford with a third class degree and became the very model of a public intellectual, playing devil’s advocate against the canonisation of Mother Theresa, pursuing Henry Kissinger, arguing about God with Tony Blair, and arguing against God with Daniel Dennett and Richard Dawkins - all while making himself a seemingly indispensible feature of the political landscape. Discover more seriously interesting radio documentaries.